I bought these little raggedys on ebay. They were $8. From the looks of it, they are pretty ancient and I don't know if this party place still exists. Also, the $2.25 price would have been nice, lol. I think I am going to stick them in breakfast sandwiches and doughnuts. 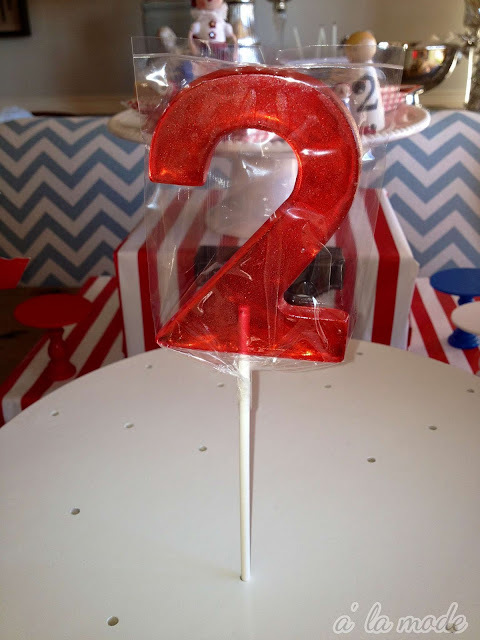 The lollipop favors and stand arrived as well. I think they are going to go on a different table with the party favors. They are 4 inches and so stinking cute! Love them. The cake pop stand is really large and sturdy. Love it too. Good buy. Remember the chunky heart crayons from yesterday? They are going to be paired with these little coloring books. Something more like this...the hubs picked up a couple sets of these at Homegoods last night for $7.99 each...nice price! This way if they break in transport, etc - no big loss. I bought white tablecloths for the tables....there is a long seating area for the kids where I am going to do fun place settings (guess I'll work on that today), a table for the coffee bar and drinks, and then the table for the setting I am posting about now....my. brain. hurts. This is all SO cute! Can't wait to see the party pics! 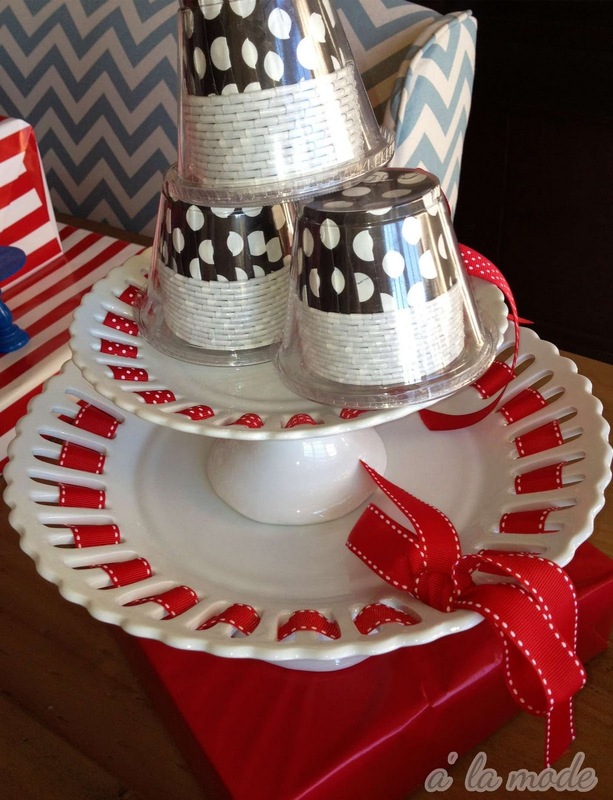 You should totally be a party planner! You are so good at it! Everything is adorable. 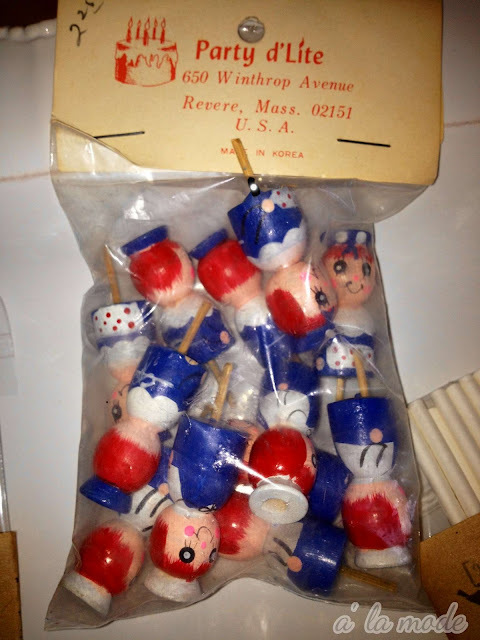 Where did you get the lollipop favors and stand? Oh girls' parties are so much fun to decorate for! Lucky you - I have 2 boys! I love the theme! Could you put one of your thinner glass pedestal bases in the center of the cake and arrange your Raggedy Ann for the cake on that? Just a thought, it would add more height. Everything is REALLY cute and will come together beautifully! It's going to be an amazing party!!! What a sweet little party. Great job. So fun....just wait until she is 16!!! 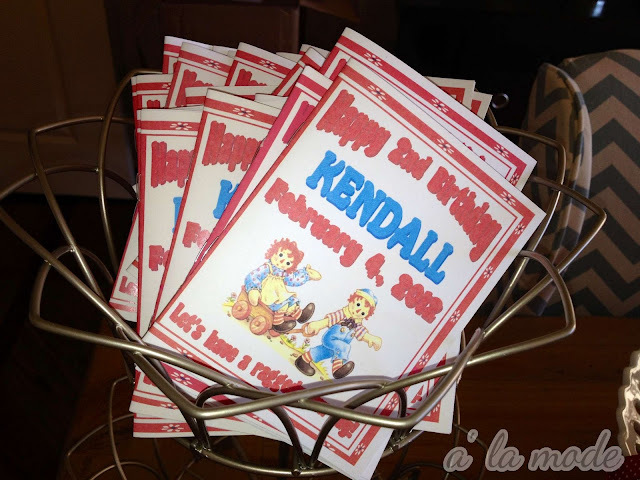 This is going to be such a fun party, Shelli! A darling theme and you have done a beautiful job with all of the details. Absolutely precious party! Love everything! 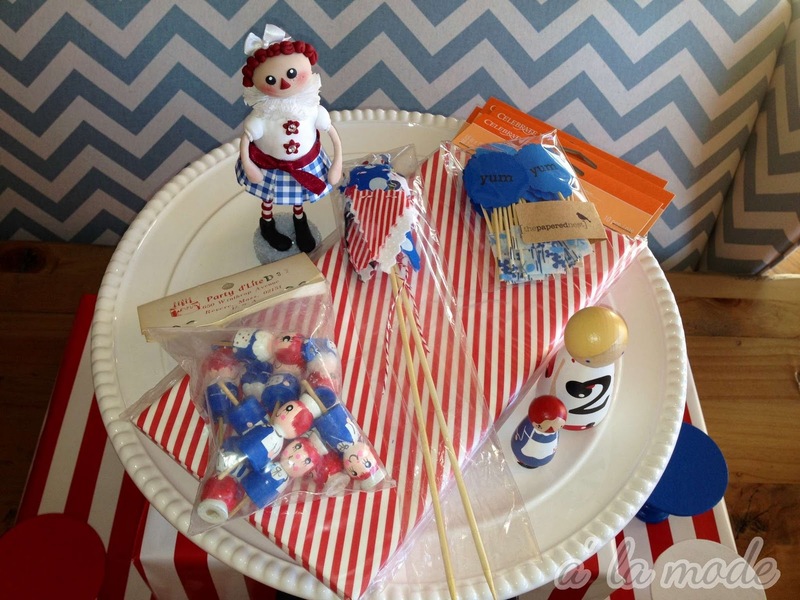 Since you asked, I think it would be cute to place the cake topper(s) On the side next to the bunting stick(s). Hope you all have a wonderful party day! I too did a mocklescape (TM: Me) for Colin's party. When the event planner saw it she looked at my like I was a little wacky. I tried to explain it's because I'm crazy. I think she bought it. ;) Seriously though, she had that thing set up in no time. And the OCD control freak in me was pleased. These things require a lot of time and money (on Etsy), It's important to be prepared! Okay, you are killing this party!! :) Can't wait to see it all in action, your theme is adorable! What a sweet party your daughter is going to have! I can't wait to see the party pics! This is all just too stinkin' cute! 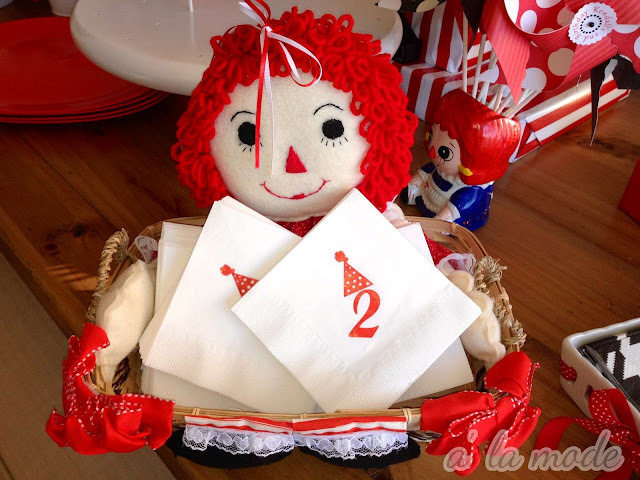 I adore the Raggedy Ann theme! Your "all white" bedroom is beautiful! I totally appreciate the beauty & calmness of all the white, but I'm all about color, even in the bedroom. Oh My goodness!! I LOVE LOVE LOVE this!!! Its so adorable! I would love to add your blog button to my blog! I am so obsessed with those suckers! just bought some for my little one's third birthday! 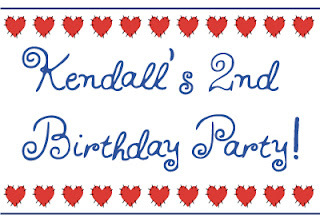 Very cute party theme too! !